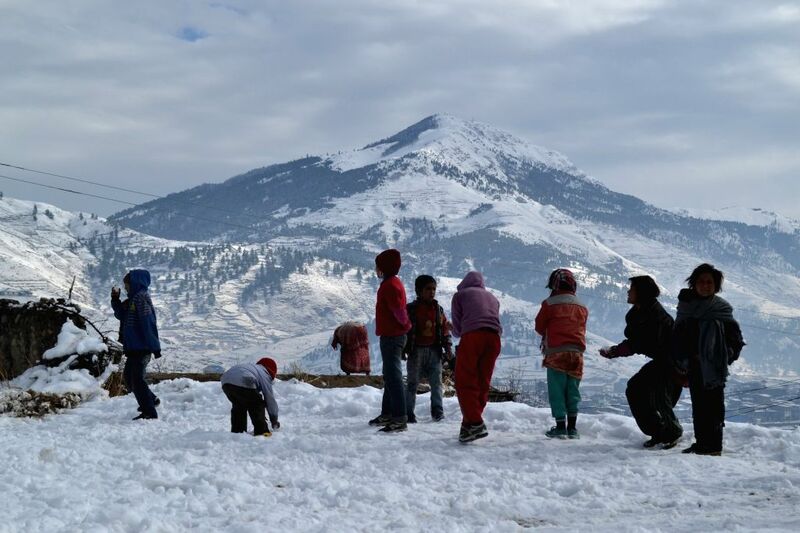 JUMLA, Dec. 14, 2014 - Local children play with snow in Jumla, Nepal, Dec. 14, 2014. The falling temperature brought snowfall to the mountainous districts of Nepal. 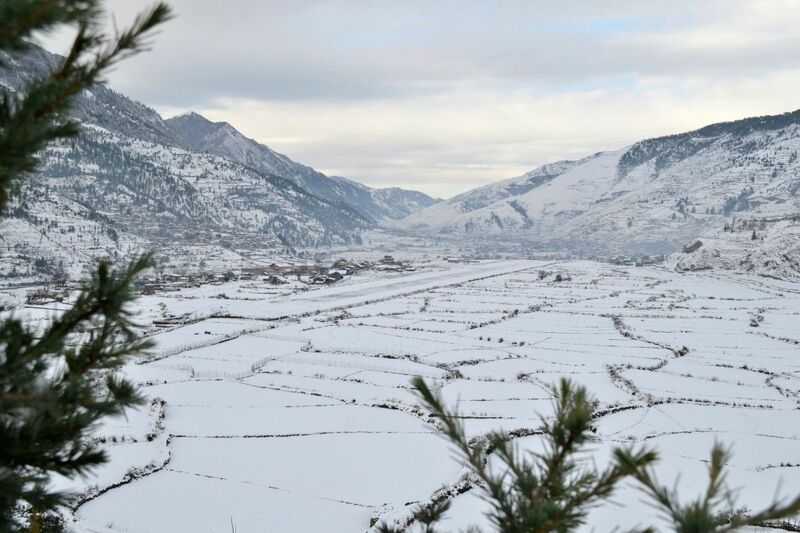 Photo taken on Dec. 14, 2014 shows streets being covered with snow in Jumla, Nepal.